Maintenance: What Causes Aircraft Accidents? Almost 12% of all aircraft accident reports cite a maintenance factor. When failure or malfunction of aircraft equipment is part of an accident or incident, one-third of these malfunctions relate to a maintenance error. On August 12, 1985, suffered mechanical failures 12 minutes into the flight and 32 minutes later crashed into two ridges of Mount Takamagahara, Japan. A photograph taken from the ground some time later confirmed that the vertical stabilizer was missing. The aircraft was involved in a tailstrike incident at Osaka International Airport on 2 June 1978, which damaged the aircraft’s rear pressure bulkhead. The subsequent repair of the bulkhead did not conform to Boeing’s approved repair methods. Their procedure calls for one continuous double plate with three rows of rivets to reinforce the damaged bulkhead, but the Boeing technicians fixing the aircraft used two separate double plates, one with two rows of rivets and one with only one row. This reduced the part’s resistance to metal fatigue by 70%. When the bulkhead gave way, the resulting explosive decompression ruptured the lines of all four hydraulic systems. With the aircraft’s control surfaces disabled, the aircraft became uncontrollable. The root cause of the accident again was a maintenance related failure. Shortly after takeoff from Jorge Chavez international airport in Peru, Aeroperú Flight 603, the airliner crew realized that their basic flight instruments were giving erratic and contradicting readings. With the lack of reliable basic flight instruments, constant contradictory warnings from the aircraft’s flight computer (some of which were valid and some of which were not), and believing that they were at a safe altitude, the pilots declared an emergency and turned to head back to the airport. However, the pilots lost track of their location and altitude and crashed into the ocean, killing all on board. The cause of the instrument failure was a maintenance worker’s failure to remove duct tape covering the static ports installed during a routine wash necessary to provide correct instrument data to the cockpit. The static ports are critical to the operation of virtually all of those flight instruments that provide basic aerodynamic data such as airspeed, altitude and vertical speed, not only to the pilots but also to the aircraft’s computers, which provide additional functions such as warnings when flight characteristics approach dangerous levels. On Dec. 19 2005, Chalk’s Flight 101 lost its right wing shortly after takeoff and plunged into a shipping channel off Miami beach, Florida. The plane, which burst into flames, was captured on video during its final moments. Everyone on board was killed, including three infants. The cause of the accident was a metal fatigue failure in the right wing initiated by a crack. The crack had been detected and seemingly repaired earlier by the maintenance team, but the repair was eventually to prove ineffective. The safety board, in its final report on the probable cause of the crash, noted numerous maintenance-related problems on the plane and another company aircraft, raising questions about Chalk Ocean’s maintenance practices. The NTSB also found evidence of improper repairs and undocumented maintenance. After the accident, the remaining fleet were found to be suffering from severe corrosion with many showing signs of sub-standard repair during maintenance. Alaska Airlines Flight 261 plunged into the pacific ocean during a routine flight from Puerto Vallarta, Mexico to Seattle-Tacoma airport. 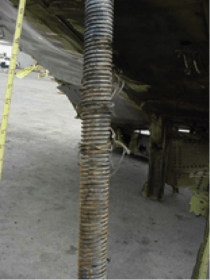 The cause of the accident was the loss of the airplane pitch control caused by thread failure on the jackscrew assembly controlling the horizontal stabilizer trim. The failure of these acme nut threads was the result of insufficient lubrication of the jackscrew assembly by Alaska Airlines during preventive maintenance schedules, despite airline paperwork indicating it had been. This was the result of Alaska’s extended lubrication and maintenance inspection intervals. 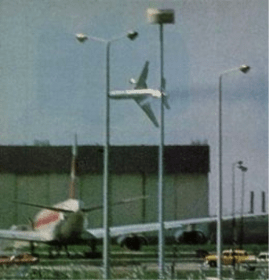 American Airlines flight 191, a DC-10, crashed moments after takeoff from O’Hare Int Airport in Chicago. Moments earlier, while speeding down the runway, engine number 1 and pylon structure separated from the wing, flipped over the top and fell to the runway. The airplane took off but shortly after take off, the aircraft rolled left and the nose pitched down before crashing in a nearby field. The root cause of the accident was maintenance-induced damage leading to the separation of the no.1 engine and pylon assembly procedures which led to failure of the pylon structure. The mounting for the pylon had been damaged during routine maintenance performed 8 week previous. American Airlines, without the approval of the aircraft manufacturer McDonnell Douglas remove the engine-pylon as one unit during an engine change using a forklift. The airline maintenance team modified the recommended engine and pylon replacement procedure to save man hours and get the job done quicker. The pylon, the rigging holding the engine onto the wing, had been damaged during the makeshift maintenance procedure. 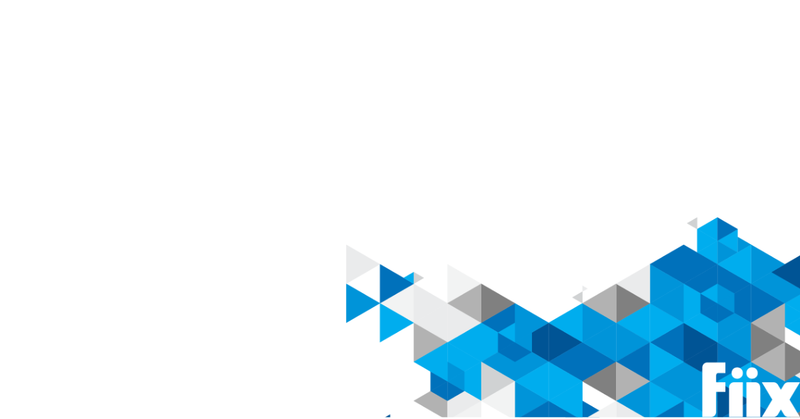 How can future aviation accidents be avoided?